Jack Black All-Over Body Eau de Toilette Spray, 3.4 fl.oz. Product prices and availability are accurate as of 2019-04-18 08:14:08 EDT and are subject to change. Any price and availability information displayed on http://www.amazon.com/ at the time of purchase will apply to the purchase of this product. Considered lighter than cologne, Jack Black All-Over Body Spray is an eau de toilette spray that combines natural citrus with herbal notes of mint and rosemary to create an invigorating scent. It can be used as an all-over body spray after a shower or as a refreshing, lightweight fragrance throughout the day. 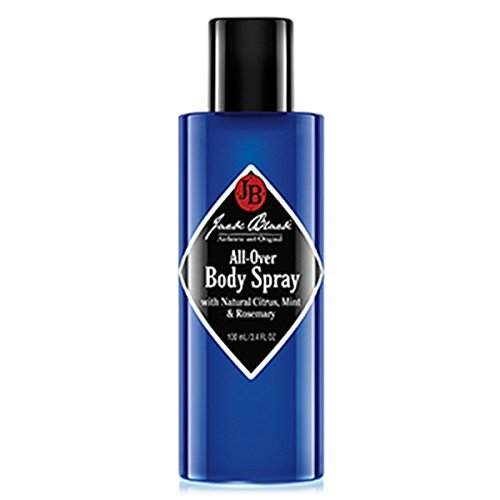 It features a similar fragrance of our best-selling all-over wash.
Jack Black All-Over Body Spray consists of high-quality ingredients that work together to produce a clean, refreshing scent that lasts all day. Our body spray contains fresh citrus and herbal notes of mint and rosemary extract. All Jack Black products are carefully formulated with the finest ingredients to be highly effective yet easy to use. Every Jack Black product is dermatologist tested, paraben free, cruelty free, and free of harsh surfactants. Almost all products in our line are vegan, free of artificial colorants, safe for sensitive skin, and made in the USA. 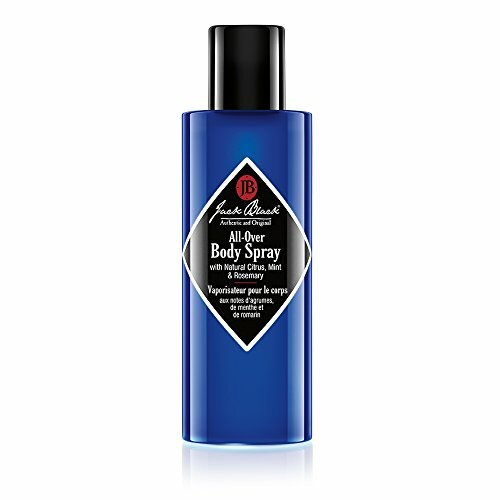 For best results, apply Jack Black All-Over Body Spray after a shower or as a refreshing, lightweight fragrance throughout the day.